For other uses of "Ottery", see Ottery. 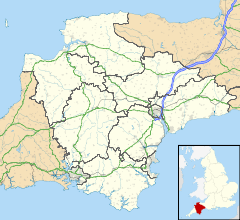 Ottery St Mary, known as "Ottery", is a town and civil parish in the East Devon district of Devon, England, on the River Otter, about 10 miles (16 km) east of Exeter on the B3174. At the 2001 census, the parish, which includes the villages of Metcombe, Fairmile, Alfington, Tipton St John, Wiggaton, and (until 2017) West Hill, had a population of 7,692. The population of the urban area alone at the 2011 census was 4,898. There are two electoral wards in Ottery (Rural & Town). The total population of both wards, including the adjacent civil parish of Aylesbeare, at the above census was 9,022. Archaeological excavations in 2014, in advance of a housing development at Island Farm, uncovered a medieval longhouse dating to AD.1250–1350 Ottery is first attested in the Domesday Book of 1086, where it appears as 'Otri' and 'Otrei'. 'Oteri Sancte Marie' is first mentioned in 1242. The town takes its name from the River Otter on which it stands, the river taking its name from the animal. The 'St Mary' element refers to the fact that the town belonged to the church of St Mary in Rouen in 1086. The town as it now stands, comprises several independent shops, mainly in Mill Street, Silver Street and Yonder Street. An area known as 'The Square', is the heart of Ottery St Mary. There are pubs, restaurants, and coffee and tea rooms. Ottery provides services, employment, and a wide range of shopping for local residents as well as visitors from nearby villages and towns. Visitors often come from further afield and abroad. Historical Features are within walking distance from parking areas allowing residents and visitors to enjoy both history and shopping together. In 1335 John Grandisson, Bishop of Exeter, bought the manor and advowson from Rouen, and two years later converted the church into a collegiate foundation with forty members. He rebuilt much of the church, and the present nave, chancel, aisles and Lady chapel date from this time. The nave is of five bays, and the chancel, unusually long in proportion, is of six, with vestry chapels to the north and south. The church is noted for its painted ceiling and early 16th-century fan vaulted aisle, the Dorset Aisle, designed and commissioned by Cecily Bonville, 7th Baroness Harington, whose first husband was Thomas Grey, 1st Marquess of Dorset. The building was restored in 1850 by the architect William Butterfield. His alterations included lowering the floor level of the transepts, crossing and western part of the chancel to that of the nave, and making the east end, designed for the needs of the collegiate foundation, more suitable for parochial use. The south transept (bell tower) houses the Ottery St Mary Astronomical Clock, one of the oldest surviving mechanical clocks in the country. It is commonly attributed to Bishop John de Grandisson, who was Bishop of Exeter (1327–69) and adheres to Ptolemaic cosmology with the Earth at the centre of the solar system. The church has ten misericords dating from the building of the church in 1350, five showing the arms of Bishop John de Grandisson. The church interior also has two medieval carved stone green men. There is a small stone plaque commemorating the poet Samuel Taylor Coleridge, who was born here on 21 October 1772, in the south churchyard wall. Other interesting features include the tombs of Otho de Grandisson and his wife, the altar screen, sedilia, and a wooden eagle given by Bishop Grandisson. Ottery St Mary parish registers, which begin in 1601, are held in the Devon Record Office. The town's primary schools are West Hill Primary School which was established in 1876 and now has around 210 pupils, and Ottery St Mary Primary School with around 356 pupils. The King's School, located on the outskirts of the town, was established as a choir school by Bishop John Grandisson in 1335, but was replaced by a Grammar School by Henry VIII in 1545. It became a comprehensive school in 1982 and is now a government-endowed Sports College with access to facilities shared by the public – namely the Colin Tooze Sports Centre. The school has 1,100 students and 80 teachers. The town typically stages annual events around Guy Fawkes Night when, in a tradition dating from the 17th century, barrels soaked in tar are set alight and carried aloft through parts of the town by residents. The festivities begin in the early evening with children's, youths' and women's events, culminating in the men's event when a total of 17 barrels are lit outside each of the four public houses in the town. (Originally there were 12 public houses in the town). The barrels, increasing in size up to 30 kg, are carried through the town centre, often packed with onlookers, in an exhilarating and risky spectacle. Only those born in the town, or who have lived there for most of their lives, may carry a barrel. Generations of the same family have been known to compete across the years and it is thought that the event may have originated as a means of warding off evil spirits, similar to other British fire festivals, around the time of Halloween. In recent years the event has been jeopardised by the need for increasing public liability insurance coverage. Nevertheless, the event continues and the town of 7,000 people increases to well over 10,000. During the event all roads in and out of Ottery are closed for safety reasons with diversions in place. 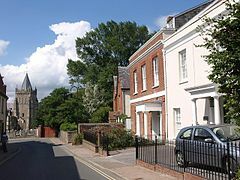 On 30 October 2008 the annual event was threatened by a severe hailstorm, which hit East Devon shortly after midnight, with the Fire Service describing the situation in the Ottery St Mary area as "absolute chaos". The storm led to serious flooding in the town, caused mainly by storm drains becoming clogged with hailstones. Roads became blocked and the Coastguard service was required to airlift some people to safety. The flooding also caused problems on the Millennium Green, where the annual bonfire and fairground were being constructed in preparation for the 5 November celebrations. One of the owners of the fairground said that the builders working there were "lucky to be alive". The clear-up operation was entirely successful, however, and both the carnival procession and the Tar Barrels and bonfire night celebrations went ahead as planned. In 2009, the Factory Barrel was sabotaged by a visitor who threw an aerosol can into the barrel. The can exploded in the heat and 12 spectators required treatment for burns. In an unrelated incident, the roof of the old fire station burned down on the night of the 2009 tar barrels. 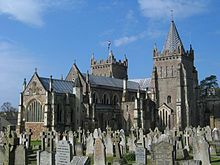 The Pixie Day legend originates from the early days of Christianity, when a local bishop decided to build a church in Otteri (Ottery St. Mary), and commissioned a set of bells to come from Wales, and to be escorted by monks on their journey. On hearing of this, the pixies were worried, as they knew that once the bells were installed it would be the death knell of their rule over the land. So they cast a spell over the monks to redirect them from the road to Otteri to the road leading them to the cliff's edge at Sidmouth. Just as the monks were about to fall over the cliff, one of the monks stubbed his toe on a rock and said "God bless my soul" and the spell was said to be broken. The bells were then brought to Otteri and installed. However, the pixies' spell was not completely broken; each year on a day in June the 'pixies' come out and capture the town's bell ringers and imprison them in Pixies' Parlour to be rescued by the Vicar of Ottery St Mary. This legend is re-enacted each year by the Cub and Brownie groups of Ottery St Mary, with a specially constructed Pixie's Parlour in the Town Square (the original Pixie's Parlour can be found along the banks of the River Otter). An inhabitant of Ottery St Mary is known as an "Ottregian". One Sunday afternoon in 1898 six young men from Ottery, who were then living in London, met on the steps of St Paul's Cathedral, and resolved to form a Society to promote good fellowship among Ottery people wherever they may be. So was founded the Old Ottregians Society, which took as its motto Floreat Ottregia ("May Ottery Flourish"). The Old Ottregians society still exists (1997). Sweet-breathing kine, / The old grey Church, / The curfew tolling slow, / The glory of the Western Sky, / The warm red earth below. // O! Ottery dear! O! Ottery fair! My heart goes out to thee, Thou art my home, wher'er I roam, The West! The West for me! Within St Mary's Church, a colourful effigy of a soldier named John Coke can be found in a niche. He is said to have been murdered by a younger brother in 1632, and therefore tradition avers that his spirit steps down from the alcove and wanders about the church interior. The fire started about noon and the raged through the homes and shops of about a quarter of the town, reducing everything to ashes. The fire started on Jesu Street where the charity schools formerly stood. At first some people believed that the fire had been started by children playing with matches, but subsequent investigation has now proved this to be incorrect. It appears that the fire was started by a woman burning rubbish and papers in her cottage fireplace on Thursday. The fire smouldered and eventually burned through the wall to the school next door. It was eventually discovered at the top of the staircase in the schoolroom, near the cottage chimney around noon on Friday. It then spread very rapidly. Within hours one hundred houses had been destroyed, and 500 people rendered homeless – 10% of the population. A great part of the town extending westwards from the school to the silk factory in Mill Street was reduced to a heap of smouldering ruins. One evening in July 1980, a disaster was narrowly averted when an aircraft on approach to Exeter Airport crash-landed on the outskirts of town, in a field immediately south of the Salston Hotel. The aircraft, an Alidair Vickers Viscount turboprop, flying 62 passengers from Santander to Exeter was 11 miles short of the runway over a wooded area on East Hill, just before the town, when it ran out of fuel and all four engines stopped. The pilot, who knew the area, was able to bank left and glide over the town's southern edge and make a wheels-up crash-landing in a field. The aircraft was put down at 19.53 hours, in daylight, near St Saviours' Bridge, in a small grassy valley studded with trees. The 27-year-old aircraft was written off in the crash. The only casualties were two sheep. The Air Accidents Investigation Branch concluded that the accident had been primarily caused by the crew's mistaken belief that there was sufficient fuel on board to complete the flight. The aircraft's unreliable fuel gauges, the company's pilots' method of establishing total fuel quantity, and the imprecise company instructions regarding the use of dipsticks were also considered to be major contributory factors. Meter indications on the refuelling vehicle at Santander, which could not have accurately reflected the quantity of fuel delivered, were also considered to have been a probable contributory factor. The accident investigation report concluded, however, that the aircraft commander's handling of the emergency once the aircraft's four engines stopped had been skillful and assured. Had he not acted in the way he did, there could have been a considerable loss of life both for aircraft passengers and for residents of the town. One of the propellers from the aircraft was later donated by the airline to the town to be auctioned for charity. The town still lies under the flightpath for Exeter International Airport. Airplanes regularly pass overhead, mostly turboprops operated by Flybe. There are about 20 such flights a day. Samuel Taylor Coleridge, the Romantic poet, was born here on 21 October 1772. His father, the Reverend John Coleridge, was a vicar; the family lived at Chanters House when John Coleridge was headmaster of the King's School. Sir Ernest Satow, a diplomat, spent his retirement (1906–29) here at a house called Beaumont, which still stands. Sir Ernest was buried in the churchyard; there is a commemorative plaque to him in the church. The Non-League football club, Ottery St Mary A.F.C. plays at Washbrook Meadows. The Colin Tooze Sports Centre is located opposite the King's School. From 1968 to 1974, Ottery had a folk club that met regularly every week in the town's London Inn with singers such as Cyril Tawney and other local artists appearing, as well a number of local singers. The club was listed in the EFDSS list of local rural folk clubs. Until 1967 the town was served by Ottery St Mary railway station, which was closed under the Beeching Axe. The line ran from Sidmouth Junction on the main line from Exeter to Waterloo to the north of Ottery, and to Sidmouth and Exmouth to the south. The line split just south of Tipton St John, near the Bowd Inn. The first line to close was the Exmouth and Budleigh Salterton line, which originally connected to the Exeter line. Subsequently, the line from Sidmouth to Sidmouth Junction was closed under Beeching. For many years the path of the railway, with the rails removed, remained in place, with evidence of the railway gates at places such as north of Cadhay Bridge. ^ "Census 2001: Parish Headcounts : East Devon". Office for National Statistics. Retrieved 11 March 2009. ^ "Rural ward 2011". Retrieved 24 February 2015. ^ "Town ward 2011". Retrieved 24 February 2015. ^ Mudd, A.; Cobain, S.; Haines, C. (2018). "A Medieval Building and its Contents at Island Farm, Ottery St Mary, East Devon: excavations in 2014". Internet Archaeology (47). doi:10.11141/ia.47.4. ^ Ekwall, Eilert. Concise Oxford Dictionary of English Place-names. p. 352. ^ "The King's School". Geograph. ^ a b c Cornish, Sidney W (1869). Short Notes on the Church and Parish of Ottery St Mary, Devon. ^ a b c Pevsner, Nikolaus (1952). South Devon. The Buildings of England. Harmondsworth: Penguin. pp. 219–23. ^ Whitham, J. A. The Church of St Mary of Ottery in the County of Devon: a short history and guide. ^ Betjeman, John, ed. (1968). Collins Pocket Guide to English Parish Churches; the South. London: Collins. pp. 164–65. ^ "Ottery St Mary:Tar barrels". Retrieved 18 February 2016. ^ "Ottery Tar Barrels". BBC - Devon Features. ^ "Fire barrel event may fizzle out". BBC News. 28 September 2006. Retrieved 20 May 2010. ^ "Tar Barrels night boosts spirits in Ottery". Sidmouth Herald. ^ J. Harris: Ottery St Mary 1866, in Devon Family Historian, No. 69, Feb. 1994, pp. 36–39, quoted at GENUKI. Whitham, J. (1984). Ottery St Mary. Camelot Press. ISBN 0-85033-526-4. Wikimedia Commons has media related to Ottery St Mary. Chisholm, Hugh, ed. (1911). "Ottery St Mary" . Encyclopædia Britannica (11th ed.). Cambridge University Press.